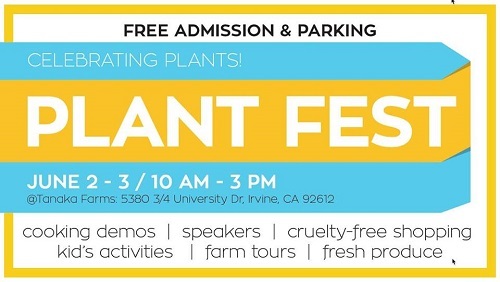 Plant Fest returns to Tanaka Farms in Irvine, California this weekend for two days of vegan food and fun! Parking and admission are both free, and the event will be held Saturday, June 2nd and Sunday, June 3rd, 2018 from 10AM to 3PM. It is the perfect way to kick off summer, with vegan vendors, food trucks, cooking demonstrations, special speakers, all on a working farm! A portion of all proceeds goes to SoCal VegFest. 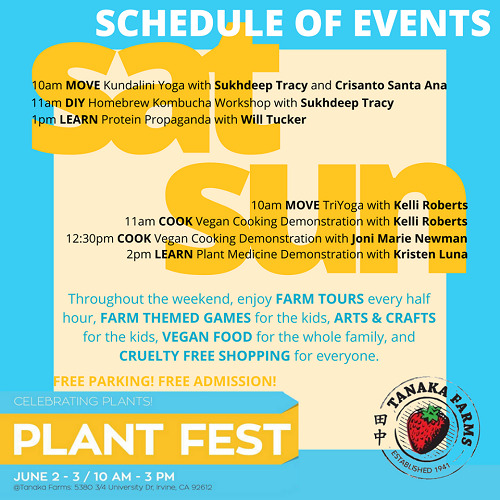 Plant Fest is a partnership between Tanaka Farms and SoCal VegFest as a project of the Animal Protection and Rescue League (APRL) - a 501c(3) organization. Hope to see you spookies there! Come say hi if you see me!